English singer-songwriter and Rock and Roll Legend Sir Elton Hercules John, was heralded the biggest popstar in the early 1970’s. His accomplishments encompass five Grammy awards, an Academy Award, and Golden Globe Award steered by a musical career that boasts records sales of over 200,000 million dollars, 50 Top 40 hits, including seven consecutive No. 1 U.S. albums, 56 Top 40 singles, and nine No. 1 hits. Elton John is also known as a prolific composer, producing works such as the Broadway musical The Lion King, 1998 for which he won 6 Tony Awards; Aida, 2000 (Tony Award for Best Original Score); and Billy Elliot the Musical, 2005 given the Olivier Award for Best Musical. 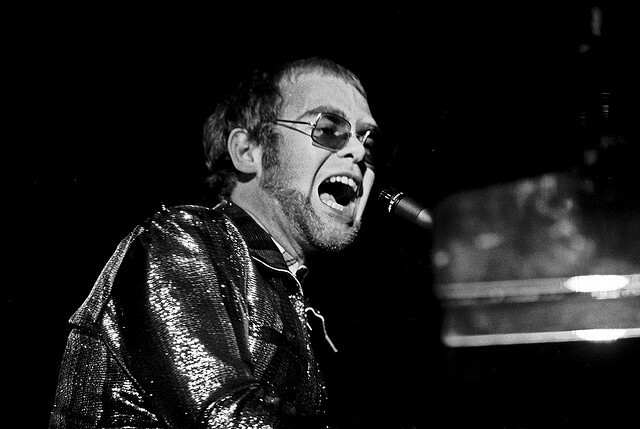 Elton’s infamous singles include his 1997 bestselling single of all time Candle in the Wind. The song was a tribute to the late Diana, Princess of Wales; RIAA Gold Don’t Go Breaking My Heart, and the high profile collaboration That’s What Friends are For.